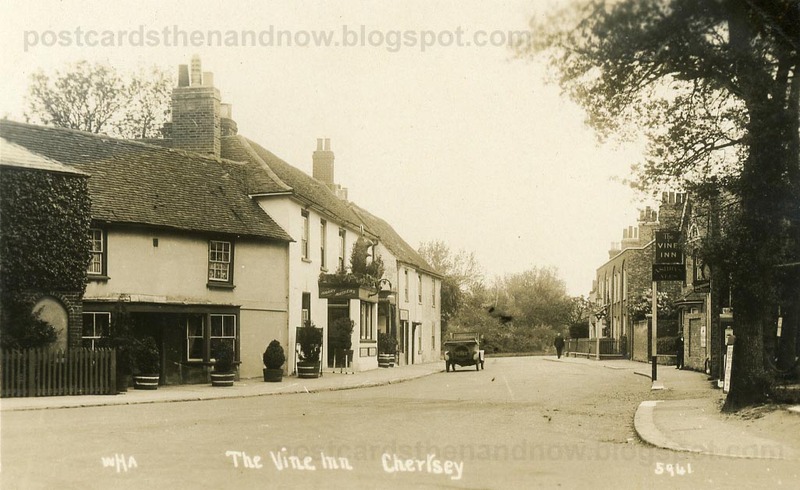 Chertsey, Surrey, The Vine Inn circa 1927. Sadly, this old pub has recently closed down and the lovely old cottage next door has been demolished. 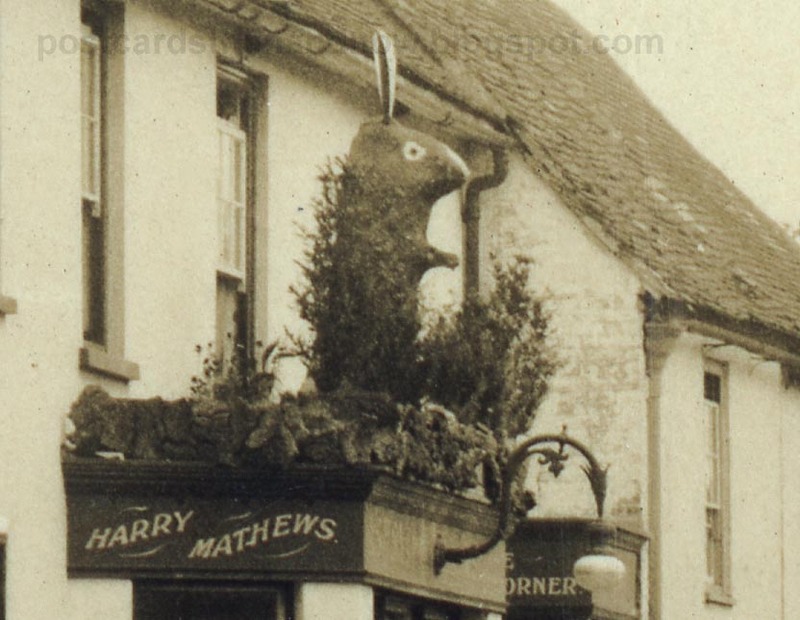 The remarkable thing about this picture is the squirrel carved from a log above the window. I wonder what happened to that? Postcard published by W. H. Applebee. I don't know about you, but I'm pleased to see that rabbit's gone.